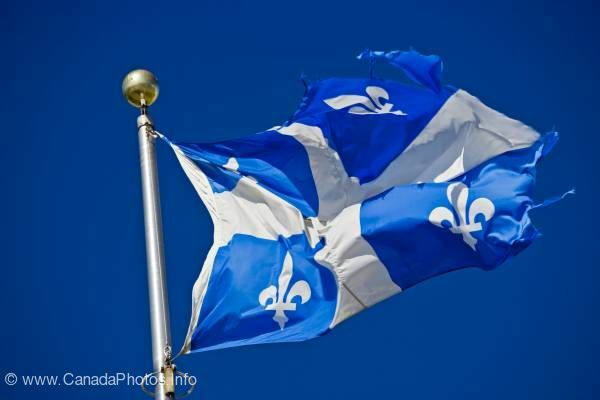 The flag of Quebec is also called fleurdelisé and fast first shown in January 1948. Quebec Flag in Old Quebec, Quebec City, Quebec, Canada. UNESCO World Heritage Site.